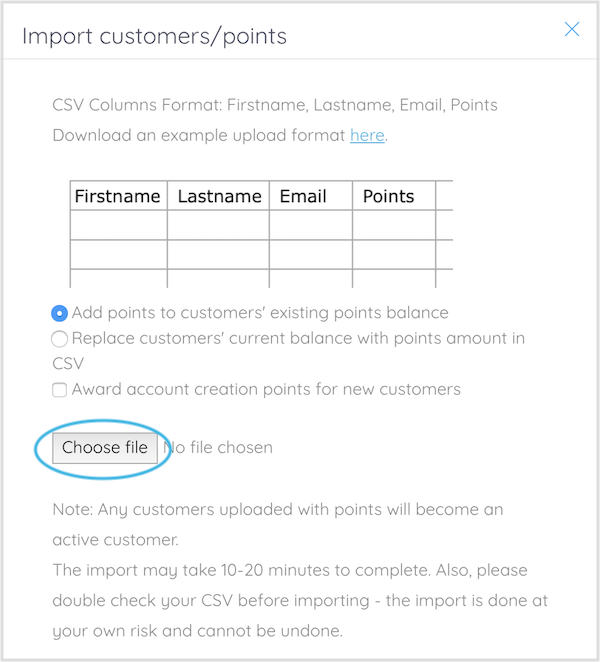 Upload your customers and give them points in bulk with the import customer database function in Marsello. You can import an entire customer database, along with loyalty points for their previous spend, or simply give all your best customers some gratitude points to get them started on your new program. 3. If you are wanting to export only a certain group of customers, you can filter your list by selecting More Filters and entering your parameters. If you are wanting to export your entire customer list, you can skip this step. Pay careful attention to the formatting of your spreadsheet's columns. The category names in your exported file will not necessarily match the formatting that is required when importing into the Marsello database, so you will need to update these. Only fill in Points if you are wanting to adjust that customer’s point total. Loyalty points are only recognized as whole numbers, so values with decimal points (e.g. 2.5) will cause the import to fail. 📝Note: When you first install Marsello, it will automatically sync your customer information from Vend with 0 loyalty points. Gratitude points are a nice way to say thanks to your customers and give them a little kick-start when launching your program. 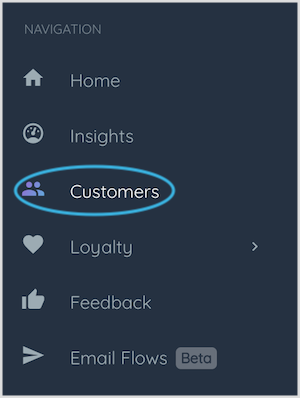 You can simply add bulk points to all your customers loyalty accounts, or choose your top customers to give a blanket points amount to, e.g. 200 points. Simply type the number of points in the Points column. 💡Quick Tip: So you don't have to type the number on every row, add it to the top row, then click on the box and drag down. Your customer database import will start. This import may take 10-20 minutes, depending on the size of your database. 📝 Note: Any customers uploaded with points will become an active customer. If you need a hand, please let us know at help@marsello.com or via the chat icon at the bottom right of your screen. If you are introducing a loyalty program into your store with an existing base of loyal customers, you can give them a head-start on their loyalty earning by rewarding them points for their past purchases. 📝 Note: This step applies in cases where $1 spent = 1 loyalty point. If your customers earn more than 1 point per $ spend, you will have to multiply this column accordingly e.g. if $1 spent = 2 loyalty points, double the values in your Points column. Also, keep in mind that the customers' 'Total Spent' will include any relevant tax and shipping fees. If you don't want to include this in their point total, a good rule of thumb is to reduce the Total Spent by 15% before converting it into loyalty points.